FLEXI-TIE expands as the plant or tree grows and will always lie flat against the stem. 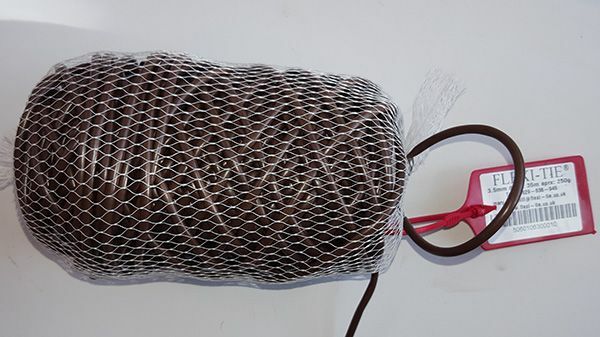 Being soft, FLEXI-TIE does not cut in or strangle but is strong, frost-proof and re-usable. It holds a knot, which will not slip, but is easy to tie and untie. Whilst versatile, we suggest 2.5mm for herbaceous, annuals and smaller veg and 3.5mm for anything bigger up to small tree size - but don't get too hung up on this as this is one case where size is not everything. You can always go round the plant another time. Image here shows 3.5mm.